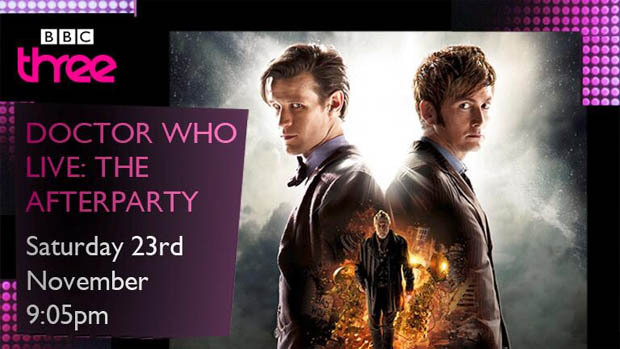 The BBC has announced that a Doctor Who “after-episode-party” will be shown on BBC Three after ‘The Day of the Doctor’ airs later this month. The live event will air at 9.05pm on Saturday 23 November on BBC Three. The BBC confirmed this afternoon that ‘The Day of the Doctor’ will air at 7.50pm (GMT) on Saturday 23 November on BBC One.